Do you need a performance review phrases for attitudes? We all know that a bad attitude can be like a plague that runs rampant through your organization. Whether it’s a negative attitude, or just a bad attitude, it spreads like wildfire and can be difficult to get a good grasp on as leaders. I would recommend NOT waiting until the performance review process to stop this behavior dead in it’s tracks. Taking steps to improve the employee’s attitude immediately will keep others from following them down this path. If you have an employee that is spreading negativity around your workplace, the best approach to getting a handle on it, is to catch them in the act. When they are caught doing it, make that person aware that it will not be tolerated and if they have complaints to bring them directly to you instead of forcing their emotions on the team. Make the employee aware that not everybody feels their emotion and if there is something that you can do to help make their job more enjoyable, that is within reason you will do it. The team members that they are expressing it to, doesn’t have the power to change it and you do. These performance review phrases are ones that you can use if the pattern repeats even if you have done everything that you can do as a manager to help the negative situation. If it continues, it is possible that you might have to write a corrective action to get it to stop. Sometimes the threat of losing one’s job, makes the place more enjoyable after all. On the other hand, if you situation requires the performance review phrase for a Good Attitude, it is important to model this person in front of the team and praise their willingness and good attitude. 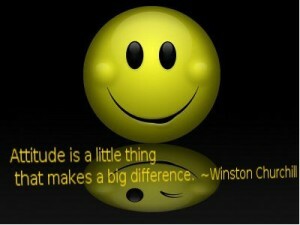 This also can spread if this person is praised, others will likely want to be praised for their good attitude too.